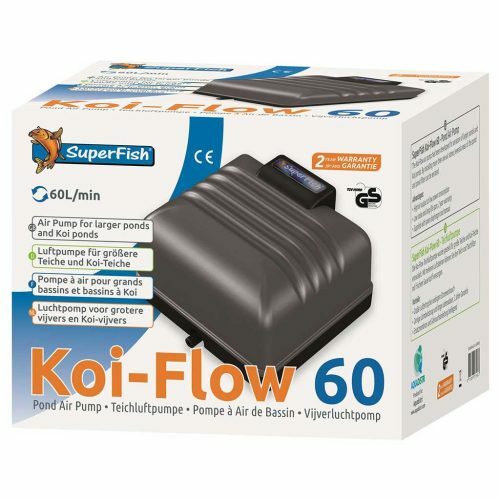 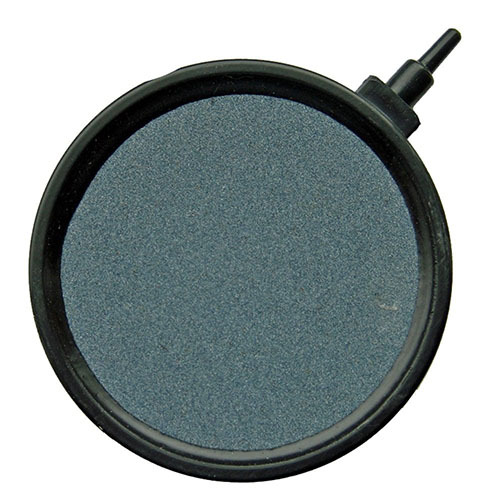 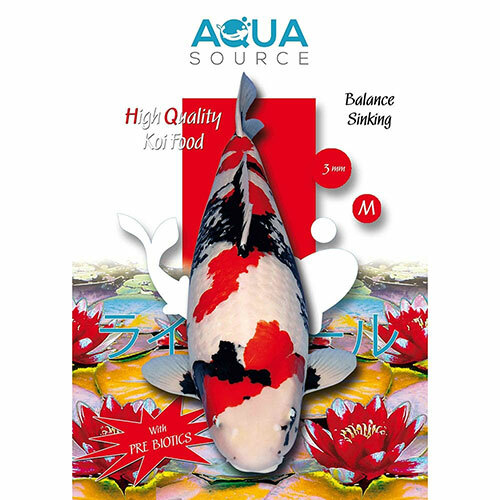 Aqua Source Balance Sinking has been developed to minimise the risk of physical damage to the koi whilst feeding. 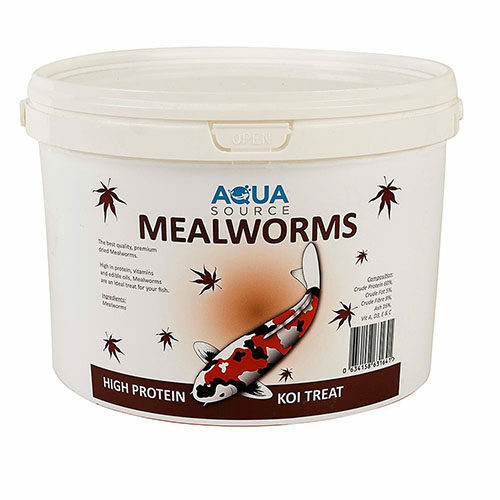 It encourages the more shy koi to feed from the bottom, therefore ensuring that they receive the correct amount of nutrition. 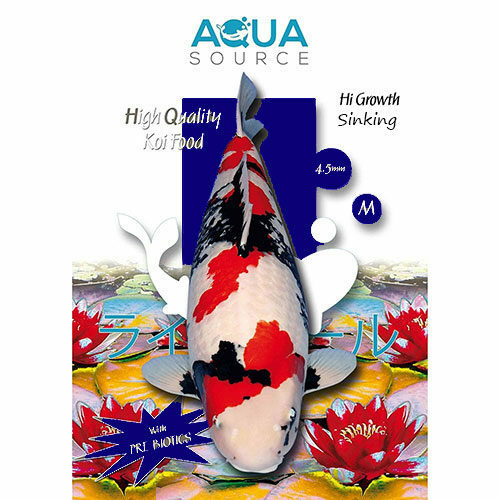 This is also a more natural way for the koi to feed. 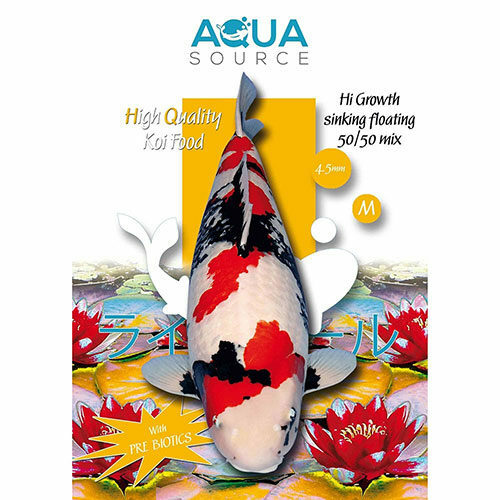 Aqua Source Balance is also a great alternative to wheatgerm, as the protein source is white fish meal, which is more digestible than proteins derived from a plant source. 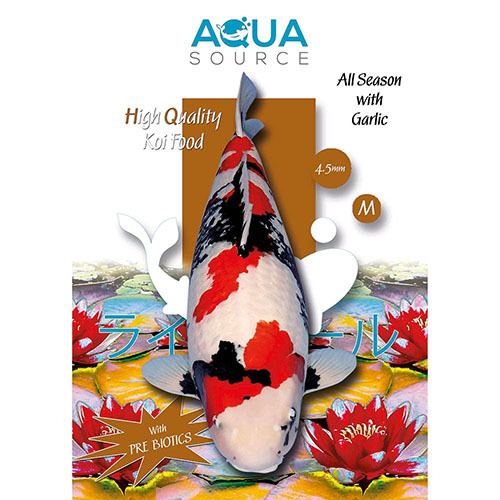 The lower protein ensures lower waste levels, even at lower temperatures.